IPL 2019: Is this the year of Virat Kohli’s RCB? Pete Sampras and French Open. VVS Laxman and playing the World Cup. Virat Kohli and IPL. Some things just don’t make sense together. 11 seasons into the IPL, the best batsman in the world still hasn't lifted the trophy even once. Can Kohli and the star studded Royal Challengers Bangalore finally cross the chequered flag first in IPL 2019? Let’s take a look. Surprisingly, Parthiv Patel looks like the one fixed opener in this lineup. He has been useful to the team in the past in this role, providing brisk starts and laying a platform for the big guns. The other opener most likely will be Kohli, since he likes to give himself time and then anchor the innings till the end. The explosive Shimron Hetmyer will also be an option later in the tournament but for now, Parthiv and Kohli look like the opening pair. This gives them a right-left combination and puts the onus on Parthiv to up the scoring rate as Kohli plays safe initially. On spinning pitches, they have the option to bring in an additional spinner in Moeen Ali in place of Marcus Stoinis, and also get him to open. This will make the middle order stronger with Kohli, AB de Villiers and Hetmyer all playing there. With Kohli opening, the other legend of this team AB de Villiers should play at No. 3, followed by Hetmyer at 4. This gives them a top 4 who are explosive as heck. On the day these four fire together, it will be an easy win for RCB. Stoinis is coming off an excellent India-Australia series and looks in fine nick with both bat and ball. He will likely be the No. 5 here, but Colin de Grandhomme is his close competitor for the spot and will jump into the fray if Stoinis has a couple of initial failures. The two are like-for-like replacements for each other with similar skill sets. The one vacant spot here looks to be No. 6, and RCB might have to go with a local talent for this considering how the other overseas slots fill out. Gurkeerat Singh or Shivam Dube seem the best placed to start off here, and as such this is is the only weak link in the side. If RCB choose to play De Villiers, Hetmyer and Stoinis, then they are left with only one foreigner slot for the bowlers and that will be a toss-up between Nathan Coulter-Nile and Tim Southee. Both look on par bowling-wise but Coulter-Nile’s batting in the recent series might clinch the place for him, at least at the start of the tournament. The rest of the bowling lineup is made up of Indian talent with Umesh Yadav and Yuzvendra Chahal being the key bowlers, and Mohammed Siraj and Washington Sundar being the best bets for the other two slots. The bowling overall looks decent with five bowlers and no ‘free’ overs for the opposition. This lineup gives RCB an overall steady look, but they seem to be lacking the firepower that teams like Mumbai and Delhi possess. Their biggest issue is the lack of a strong 5-6-7, which has come to the fore in multiple IPLs - especially during knockout matches. Being dependent on the top 4 works in the league phase, but in the knockouts it’s always the quality and temperament of the middle order that decides matches. Look no further then CSK and MI for validation, who have 3 titles each and the strongest middle orders in the tournament. The overall makeup of the team puts tremendous pressure on the two best batsmen in the world, Kohli and De Villiers. How RCB go this year will again depend on how these two giants perform. Eventually, the more things change, the more they remain the same. 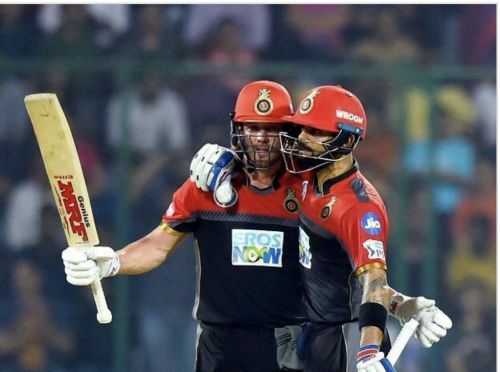 IPL 2019: Can RCB emerge victorious this year?